Customized Database - SysNet Solution Inc. The prime focus for SQL services is to give IT Managers peace of mind that their data is performing, secure and recoverable in event of failure. SQL is a special –purpose programming language designed for managing data inside a customized database. SysNet Solution offers managed and professional services in both SQL server platforms, SQL services will ensure that our customer’s database environments are performing optimally 24 x 7. We at SysNet Solution offer MySQL support which is the most popular Open Source SQL database management system. It is used to develop, distribute, and supported by Oracle Corporation. MySQL is a database management system. A database is a structured collection of data. It may be anything from a simple shopping list to a picture gallery or the vast amounts of information in a corporate network. To add, access, and process data stored in a computer database, you need a database management system such as MySQL Server. 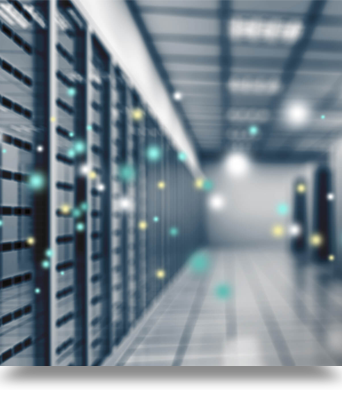 Since computers are very good at handling large amounts of data, database management systems play a central role in computing, as standalone utilities, or as parts of other applications. Oracle’s database management systems transforms complex and brittle architectures into agile integration networks by connecting, mediating, and managing interactions between services and applications. SysNet Solution delivers oracle solutions at a low-cost, standards-based integration for mission critical SOA environments where extreme performance and scalability are required. Oracle offers a range of database options for specific requirements in the areas of performance, availability, security, and compliance. Available on a choice of operating systems, Oracle Database 11g lets you consolidate business applications onto fast, reliable, and scalable database grids. Remote Windows and Linux Administration on Servers. Remote Apps DBA Support (eBusiness Suite 11i / R12). Remote Oracle Application Server (Fusion Middleware) Support. Microsoft Office Access, previously known as Microsoft Access, is a database management system from Microsoft that combines the relational Microsoft Jet Database Engine with a graphical user interface and software-development tools. It is a member of the Microsoft Office suite of applications. Very simply, Microsoft Access is an information management tool that helps you store information for reference, reporting, and analysis. SysNet Solution uses Microsoft Access which can help you overcome the limitations found when trying to manage large amounts of information in Microsoft Excel or other spreadsheet applications. A spreadsheet program is a terrific tool for maintaining and calculating small sets of information. Custom database is an easy way to take advantage of your resources and adapt them to your company. Custom database allows you to store business critical information in web database software, where it's easily accessible by all team members. This increases team collaboration and improves team efficiency and communication. SysNet Solution combines the power of a web database program with customizable database application solutions designed to meet your most critical business needs.